Blinds are made to measure to fit exact. Bolton is a town in Greater Bolton in North West England. You can see a trend there that many people has selected window blinds for their home windows or even offices and they have really changed their look. Impress Blinds Offers to their esteemed customers 3 roller blinds for £119 with choice of various hues. On the off chance that you require 3 vertical blinds for £79 alongside free measuring and fitting then you can without much of a stretch get in touch with us. 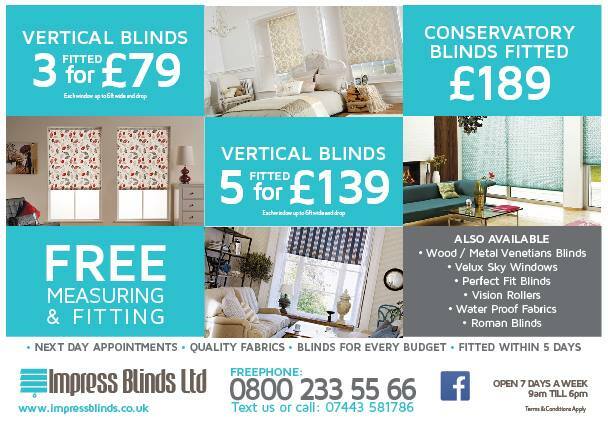 Our team with great experience will deliver and fit your chosen blinds at you easiness in Bolton. We likewise offer 5 vertical blinds for just £139. Our major clients in Bolton are much satisfied with our services.